The fourteen years of Weimar Germany was a period of political and cultural turmoil. World War I had decimated the male population and bankrupted the nation. From the ashes of the defeated Empire arose Germany’s first democracy and its mortal reactionary enemies. 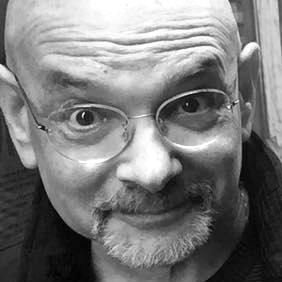 Nonetheless, censorship was briefly curtailed and as book collector Jürgen Holstein recently told me, “liberals—and above all, left-wingers—saw the possibility of gaining a hearing for their ideas. 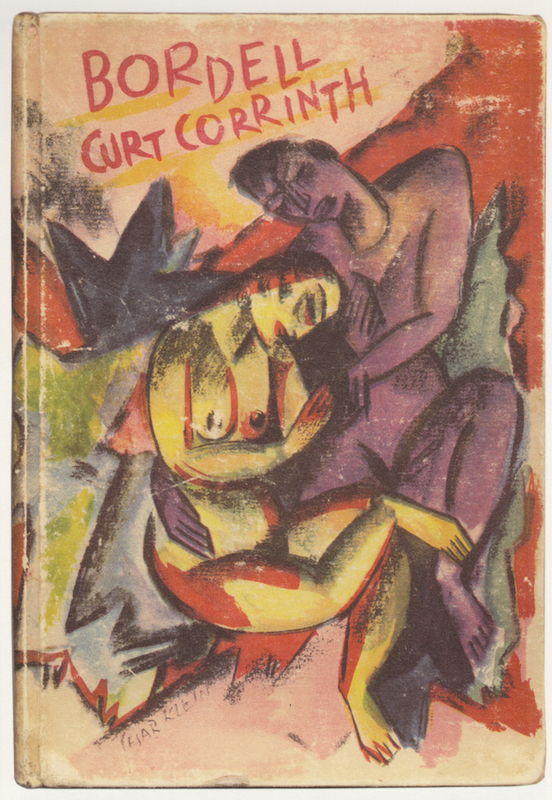 New groups were constantly cropping up with new ideas.” And this is the focus of The Book Cover in the Weimar Republic (originally published as a limited edition titled Blickfang) wherein he refers to Weimar as “postwar—the war after the war,” due to the intensity of the debates. There was also a practical commercial reason for the flood of novel German book designs. To use their presses to capacity, newspaper publishers like Ullstein, Mosse, Scherl expanded their publishing programs to include illustrated journals and magazines and also founded book publishing divisions that competed with the existing book publishers. Consequently commercial artists were put to work designing jackets and covers in prodigious quantities—and without the oversight of marketing departments like in today’s competitive environment. These modernists were only loosely associated and for the most part independent artists who became freelance designers as a way to avoid going hungry in those difficult times. And that is the reason for the surprising appearance of Max Beckmann, Hans Bellmer, Max Pechstein, George Grosz, Rudolf Schlichter, El Lissitzky, and the like. 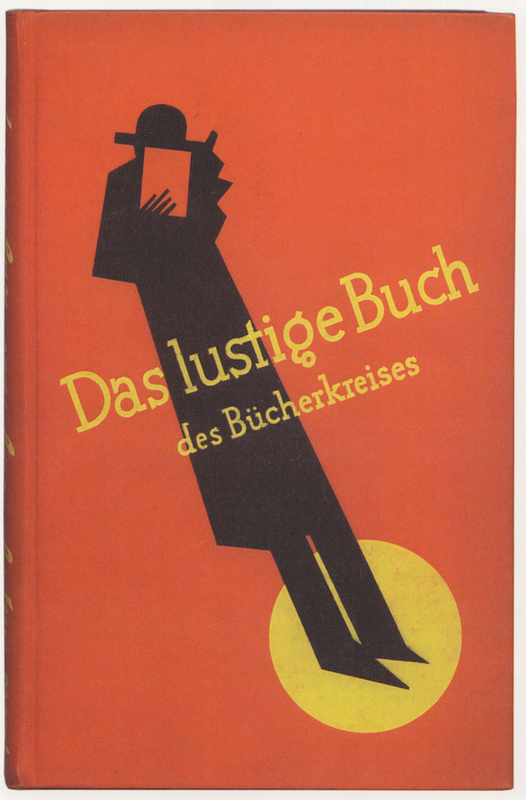 Among the most famous and important book designers and illustrators often associated with specific publishers in the Weimar Republic were Herbert Bayer, Georg Salter, John Heartfield, Jan Tschichold, George Grosz, Hans Meid, Fritz Helmuth Ehmcke, Emil Rudolf Weiss, and others. Of these, quite a few eventually emigrated to England and the United States where they continued to design jackets. 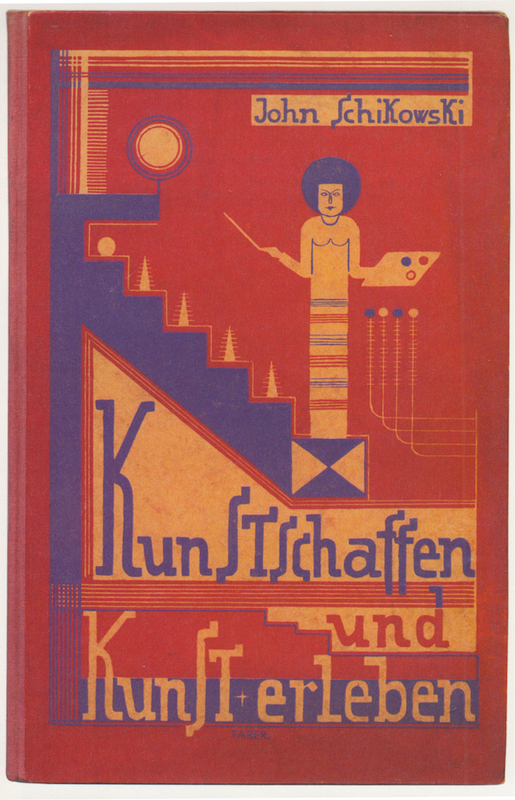 This book is based on the extraordinary collection built over about ten years, although it was not originally planned as a definitive “collection.” “Instead, my wife and I, as regular visitors (and exhibitors) at numerous book fairs, bought books that appealed to and interested us for very different reasons, Holstein explained. Today the collection is held by the Zentral- und Landesbibliothek Berlin. The wide range of approaches is exciting for various reasons. This is the first accessible critical mass of fiction, non-fiction, art, textbooks and children’s book covers and jackets ever assembled. 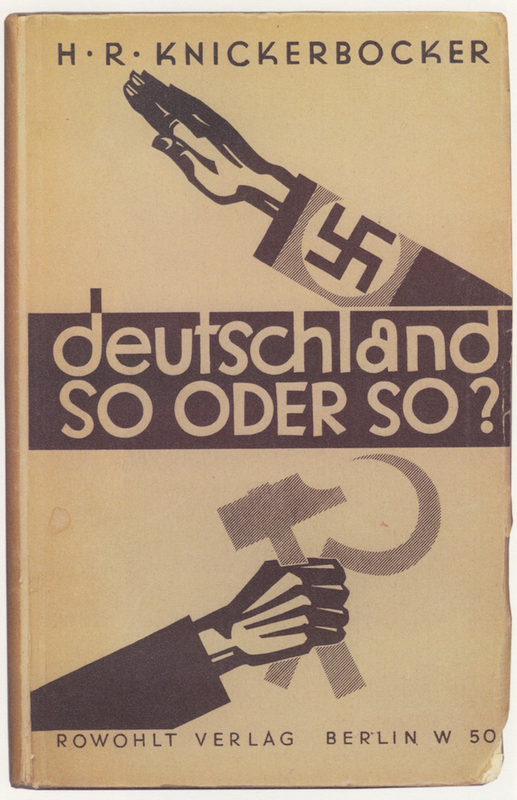 And although German design magazines covering this fourteen-year period often featured surveys with tip-in originals of jackets, there has never been a thematic historical resource to address the context, contents, and creators of the books through expert voices of publishing and design scholars. 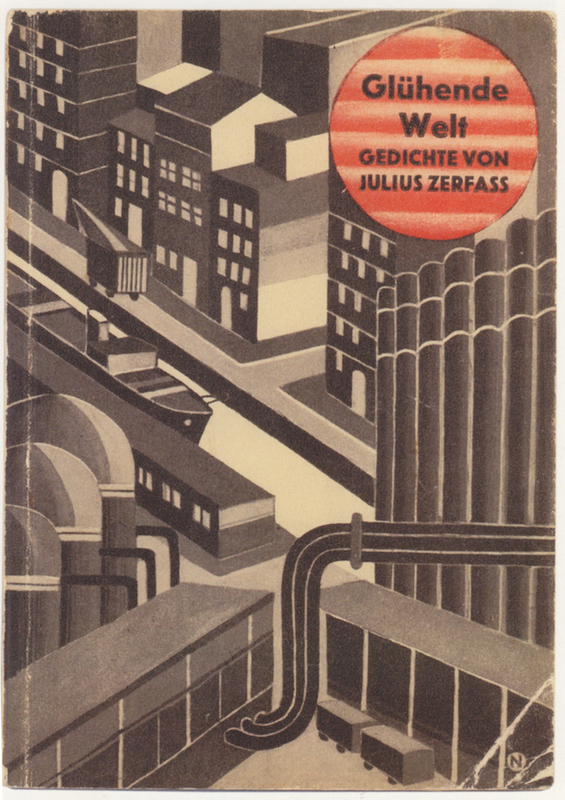 What’s more, it is sobering that the work presented in The Book Cover in the Weimar Republic so clearly influenced design between the wars up to and including today. 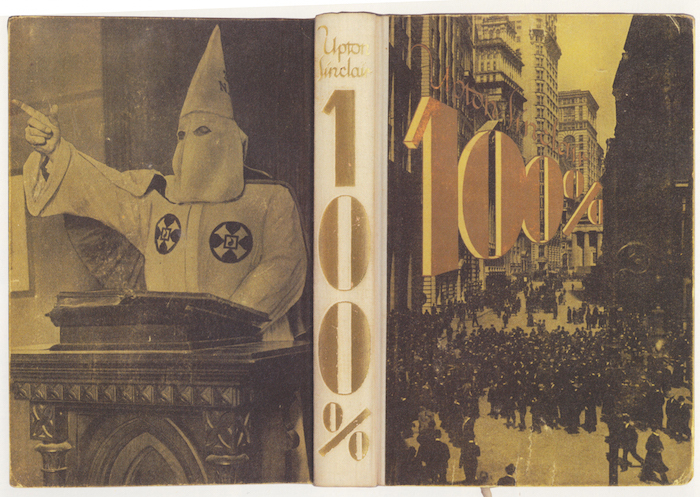 The Book Cover in the Weimar Republic is published by Taschen. All images courtesy and © Taschen.